These are beautiful melons with luscious deep-orange golden flesh that is sweet, juicy and fragrant. Rinds are thin, heavily netted and medium ribbed. Vigorous, prolific plants bear nearly round, medium-sized, 2-3 lb. fruits that are ready to pick 90 days from sowing. An heirloom introduced around 1900 and once the most popular commercial cantaloupe in the Midwest. Cantaloupe, Hearts Of Gold is rated 3.8 out of 5 by 5. Rated 5 out of 5 by JRVFM from Needs to be kept dry! I have grown these for years in both the deserts of the Southwest and now here on the plains of the upper Midwest. Drier environments like these are perfect for this melon. The secret here is that the leaves need to be off the ground in humid prone areas. This melon is therefore a favorite of dryer Midwest and very dry deserts of the Southwest. This fruit will make you fall in love with cantaloupe. The sweetness of this melon is unlike anything you can imagine. You will swear someone added something to it- it is that good. I read some reviews where people had trouble with disease and small yields. Or that the melons simply did not produce. There are two things to watch out for with all fruit from the melon family. First, these won't do well in constant dampness. This explains why the gardener in Connecticut had such trouble. Leaves that stay damp are a favorite of bacteria, mold, etc. To combat this, I turn a tomato cage upside down over the seeds and train them to grow in a network of cages. It's not hard to do and it is most certainly worth the sweetness you get from this melon! Four plants in a square with cages over them will yield beyond anything a family can eat- you will be giving these away. (And people will ask what they are! You won't find this in any produce isle!) Second, animals will do these melons in. They need to be protected from your typical garden pests. Also, "sap sucking" bugs will destroy your yield, but I found oil of neem will do them in perfectly. Getting the leaves off the ground in wet prone areas makes it easier for beneficial bugs, birds, etc, to find these pests as well. And lifted vines are easy to spray with neem and other natural pest solutions. And if you must use a pesticide, (rare with this variety,) than lifted leaves are easier to spray by far. That, and lifting the leaves means you can tolerate a lot of your typical leaf eaters, because the plant has lots of extra capacity. But combine bugs, mold, fungus and damp, and there is little left for the plant to work with. As to size, I would not call these small. I think the small size mentioned in other reviews has far more to do with management than it does weakness in this plant. Container growing is possible, but I notice that many people overdo their container mix. Just like a diet of candy will make you sick, so will it make a plant. Watch the leaves, they will tell you when it is time to fertilize. Yellow leaves are sure signs that something is lacking in young plants. Add a reasonable amount of fertilizer as needed- don't over do it. And make sure to have a support structure for the vines to grow on in wetter areas. Even in Arizona and North Dakota, I do this. It gives pests nowhere to hide. As with all container and raised bed gardens, make sure your soil is light and fluffy. The problem many encounter is that since their garden soil produces weeds, it must be great for plants. That simply is not true. 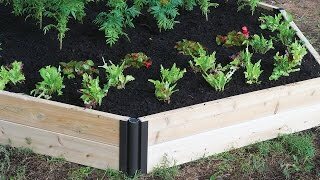 Don't use garden soil in raised beds, containers, etc. 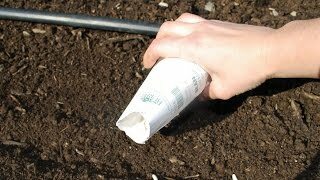 Use plenty of perlite and vermiculite in any bed or container soil mix to encourage strong plants. So with just a small amount of care, you can have the single best cantaloupes you ever ate. You won't want ANY other variety after this. The work is so minimal and the reward is so worth it! Trust me, it only takes minutes and minimal costs to have amazing plants, prolific production and Garden of Eden taste! Rated 1 out of 5 by FarmerMary from Very Disappointed!! HEARTS O GOLD CANTALOUPE Planted seeds in Burpee Super Growing Pellets in mini Greenhouse container & placed on a sunny windowsill. They all germinated in a few days. Once transplanted (~ May 20), they rapidly started growing. The vines grew out of the half-whiskey barrel they were set in & sprawled all over the patio. There were 3 plants in this barrel & they each had at least 3 little melons. One fell off the vine in late July & smelled like a ripe melon but it was very small, about 2.5 or 2.75 " in diameter. When I cut it open, the juice & seeds spilled out of the melon, so I'm pretty sure it was ripe, but the taste was flat, hardly tasted like cantaloupe & definitely wasn't sweet. We had a lot of heavy rain in late June (almost every day) until mid July, so they hardly needed any watering. In early August, they all got hit with some kind of wilt that killed all but 1 plant, which still has 1 melon on it & is growing new, green leaves & new flowers. I saved some of the seed, but I don't think I'll plant them-it was awful. Rated 3 out of 5 by YankeePlanter from Hit or Miss The first year I grew these, I harvested four delicious melons from four plants. There were several smaller melons on the vines at that point in late July, but bacterial wilt set in and that was it. Last summer, torrential June rains, followed by cucumber beetles, followed by bacterial wilt did the plants in before any fruit set. Rated 5 out of 5 by Snagglepuss from Super Sweet Cataloups This will be my third year growing this variety. Just the right size for one person, these cantaloupe are super juicy and super sweet. I get about 12 - 15 per plant. If you have rabbits nearby you will need to protect the plant. They will eat the end of the vine and kill the plant. I tried the bush variety, it wasn't bad but the fruit didn't have the same sweet flavor like this variety. FANTASTIC ! If you love cantaloupe you gotta try this one. Rated 5 out of 5 by KCgardener from exceptional flavor I only got two melons this summer, since all my cucumber-family vines got some sort of bacterial wilt. Despite the vine's failing health, it produced the two most exceptionally juicy, flavorful melons I've ever eaten. I will definitely be planting them again next year, and hopefully I'll have better luck.